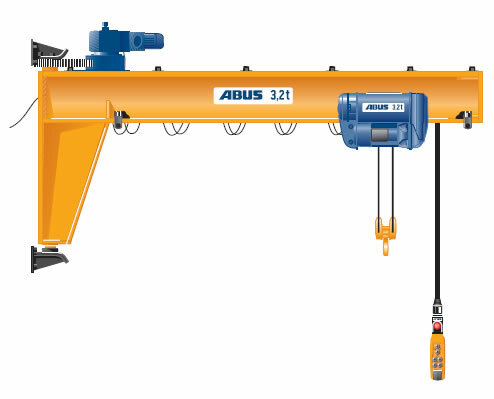 This crane is required in tank and container construction for transport of loads between work levels of different heights. 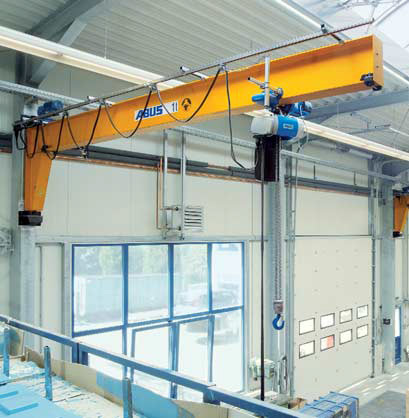 The design of the wall jib crane VW enables the given building dimensions to be used to the fullest, so that the transfer of the load is achieved at the highest possible lift height. The crane has electric, 2-speed trolley and slewing drives, without which the desired movements of the load would be practically impossible. Weld-on plates are used to mount the crane directly on the steel supports of the building.